Louisville, Ky. (Dec. 2, 2015) – The 7th largest skilled nursing provider in the nation, Signature HealthCARE, LLC, has acquired the skilled nursing division of Elmcroft Senior Living, effective Dec. 1. Elmcroft is a nationally recognized senior housing provider, which operates 82 independent, assisted, and dementia care communities with approximately 7,000 beds in 18 states. Additionally, Elmcroft owns and operates 18 skilled nursing and rehabilitation centers with approximately 1,700 beds that are the subject of this transaction. Signature, based in Louisville, Ky., will now operate 133 post-acute centers in the U.S. with approximately 23,000 stakeholders (employees) in 11 states. Of the foregoing, Signature operates 41 post-acute centers in Kentucky, and employs 7,400 employees statewide. Signature was named “Best Places to Work in KY” in 2014 and 2015 by the Kentucky Chamber of Commerce, and was nationally awarded by Modern Healthcare in 2013 and 2015. This purchase augments Signature’s strategic vision for the Signature Integrated Clinical Network launch in Kentucky, linked to its recent launch of the Signature Advantage Medicare insurance company, the first ever Institutional Special Needs Plan (I-SNP) in the state operated by a provider creating a statewide footprint to expand Signature’s acute care hospital partnerships for bundled payments, risk-sharing partnerships and clinical collaboration. The real estate is owned by Care Capital Properties Inc., which spun off from Ventas, one of the five largest REITs, specializing in post-acute care. 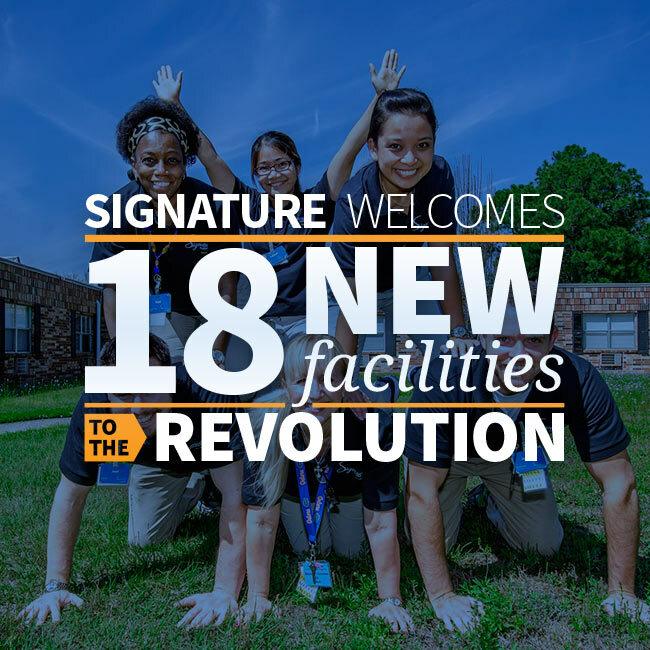 Signature will operate 49 centers nationwide under a master lease with CCP. Signature HealthCARE is a skilled-nursing, rehabilitation and health care company with 133 skilled nursing locations in 11 states and approximately 24,000 employees. For more, visit www.ltcrevolution.com.